Ukrainian earth ionosphere satellite. Studies ionosphere of the earth; version used for Intercosmos international launches. Status: Operational 1969. First Launch: 1969-12-25. Last Launch: 1972-11-30. Number: 2 . Gross mass: 330 kg (720 lb). Design work began in April 1967. Adaptation of DS satellites by KB Yuzhnoye. For the Interkosmos modifications V F Chutkin was Chief Designer and First Assistant was V S Budnik. Investigation of the characteristics of the earth's ionosphere and of concentrations of electrons and positive ions. Family: Earth, Ionosphere sat. Country: Ukraine. Launch Vehicles: Kosmos 2, R-12, Kosmos 11K63. Launch Sites: Kapustin Yar, Plesetsk, Plesetsk LC133/1, Kapustin Yar LC86/4. Agency: IK, Yuzhnoye. Bibliography: 116, 2, 474, 6, 99, 12271. 1965 April 15 - . Interkosmos program authorised. - . Nation: Russia. Spacecraft Bus: DS. Spacecraft: DS-U1-IK. Central Committee of the Communist Party and Council of Soviet Ministers Decree 'On Co-operation of the USSR and Socialist Countries in the Sphere of Research and Use of Space-international co-operation' was issued..
1969 December 25 - . 09:59 GMT - . Launch Site: Kapustin Yar. Launch Complex: Kapustin Yar LC86/4. LV Family: R-12. Launch Vehicle: Kosmos 11K63. Intercosmos 2 - . Payload: DS-U1-IK s/n 1. Mass: 320 kg (700 lb). Nation: Russia. Agency: IK. Program: DS. Class: Earth. Type: Ionosphere satellite. Spacecraft Bus: DS. Spacecraft: DS-U1-IK. Completed Operations Date: 1970-02-12 . Decay Date: 1970-06-07 . USAF Sat Cat: 4285 . 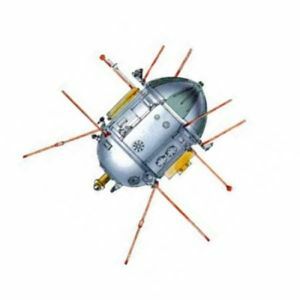 COSPAR: 1969-110A. Apogee: 1,178 km (731 mi). Perigee: 200 km (120 mi). Inclination: 48.40 deg. Period: 98.50 min. East European instruments carried to determine the characteristics of the earth's ionosphere and the concentrations of electrons and positive ions..
1972 November 30 - . 21:49 GMT - . Launch Site: Plesetsk. Launch Complex: Plesetsk LC133/1. LV Family: R-12. Launch Vehicle: Kosmos 11K63. Intercosmos 8 - . Payload: DS-U1-IK s/n 2. Mass: 340 kg (740 lb). Nation: Russia. Agency: IK. Program: DS. Class: Earth. Type: Ionosphere satellite. Spacecraft Bus: DS. Spacecraft: DS-U1-IK. Completed Operations Date: 1973-02-01 . Decay Date: 1973-03-02 . USAF Sat Cat: 6291 . 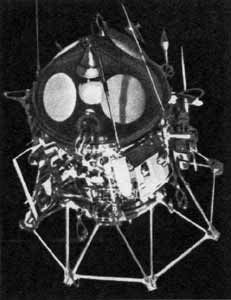 COSPAR: 1972-094A. Apogee: 645 km (400 mi). Perigee: 203 km (126 mi). Inclination: 71.00 deg. Period: 93.10 min. Continued joint investigation of the characteristics of the earth's ionosphere and recording of electron and proton fluxes..